The worksop is joint organised by AMRO and OECD which saw close to 50 participants, including participants from embassies. 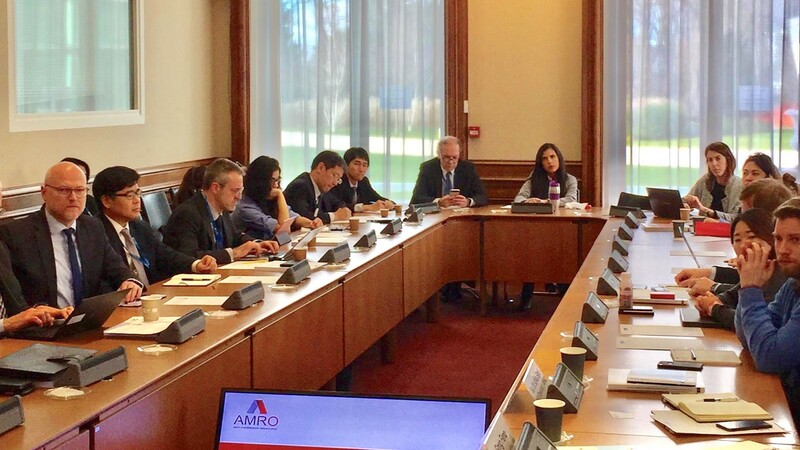 PARIS, January 30, 2019 – The ASEAN+3 Macroeconomic Research Office (AMRO) and the Organisation for Economic Co-operation and Development (OECD) held a workshop on “Economic Perspectives and Challenges Ahead for East Asia” at the OECD Development Center on January 28, 2019. Speaking at the workshop, AMRO Director Dr Junhong Chang highlighted that the topic is at the core of AMRO’s functions, which are conducting macroeconomic surveillance and supporting the implementation of the Chiang Mai Initiative Multilateralisation (CMIM), the regional financing arrangement of the ASEAN+3 region. AMRO Director Dr Junhong Chang delivers the opening remarks. In their presentations, AMRO Deputy Director Mr Yasuto Watanabe provided an overview of ASEAN+3 financial cooperation and the key milestones of AMRO and the CMIM. He also shared AMRO’s core functions, focusing in particular, on the structure of surveillance in supporting the implementation of the regional financial arrangement. AMRO Senior Economist Mr Anthony Tan provided an overview of the near term economic prospects and risks facing East Asian economies, as well as the key emerging structural trends. He emphasized that despite mounting external challenges, the region has done well, with baseline growth averaging around the 5 percent level. As compared to the projection made in April last year, AMRO has shaded down the regional growth for 2018 and 2019 to 5.3 percent and 5.1 percent, respectively, with considerable uncertainties over the baseline trajectory for 2019. Notwithstanding the softer outlook, the region’s long term fundamentals remain intact, as the favorable outlook is buttressed by mutually reinforcing fundamentals, such as growing intra-regional final consumption and absorption of value-added exports within the region amid a rising middle class, rapid urbanization, and adoption of digital technology. AMRO experts also recommended that policymakers should address the structural forces that are shaping the future of our economies. These include rapid population aging in some regional economies that pose immense challenges for public finances, and the proliferation of digital technology, which is not only growth-augmenting, but can be disruptive for some sectors of the economy. Participants of the workshop agreed that taking into accounts the trends and challenges in the global economy, building resilience and stepping up structural reforms are key for the region to withstand shocks and maintain growth momentum. Experiences from past crises have shown that resilience is grounded on sound macroeconomic fundamentals and financial systems. 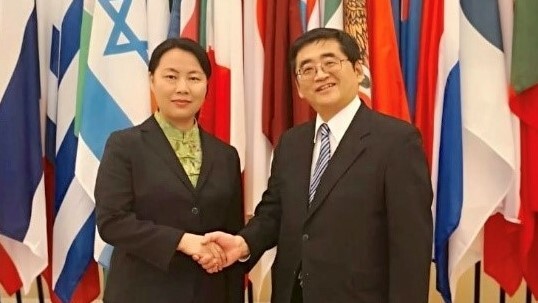 On the sidelines of this workshop, AMRO Director Dr Chang had a fruitful discussion with Deputy Secretary General Mr. Masamichi Kono to exchange views of common interests, while agreeing to push forward the strategic engagement and partnership between the two organisations to better leverage on each other’s knowledge and expertise. ASEAN+3 Macroeconomic Research Office (AMRO) is an international organization established to contribute to securing economic and financial stability of the ASEAN+3 region, which include 10 members of the Association of Southeast Asian Nations (ASEAN) and China; Hong Kong, China; Japan; and Korea. 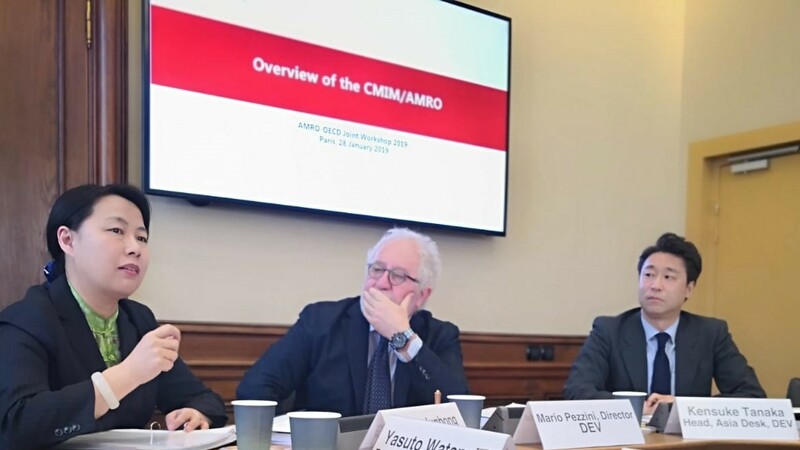 AMRO fulfils its mandate by conducting regional economic surveillance, supporting the implementation of the regional financial arrangement, the Chiang Mai Initiative Multilateralisation (CMIM), and providing technical assistance to its members.